In Nagasaki, Japan, Dejima Base has brought Miffy to life with a hide and seek activity for young visitors along the waterfront. The Dejima is a Japanese historical site, which used to host the Dutch Trading Station. Due to this shared history, Holland still has strong links with the site and there is even a large sign featuring Holland’s most loved bunny character, Miffy, to welcome visitors to the site. There are nine silhouette plaques of Miffy hidden along the waterfront of the site for visitors young and old to find, in a fun game of ‘Miffy hide and seek’. Whilst there, you can explore the site and learn more about the Japanese history with a twist of modern Dutch influence. 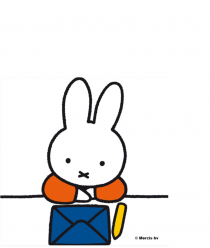 Learn more about Miffy’s history in the exhibition room or visit the gift shop, where you can customise and print out your own Miffy stickers. There’s also a variety of other Miffy memorabilia available, so you can take a little bit of Holland home with you.